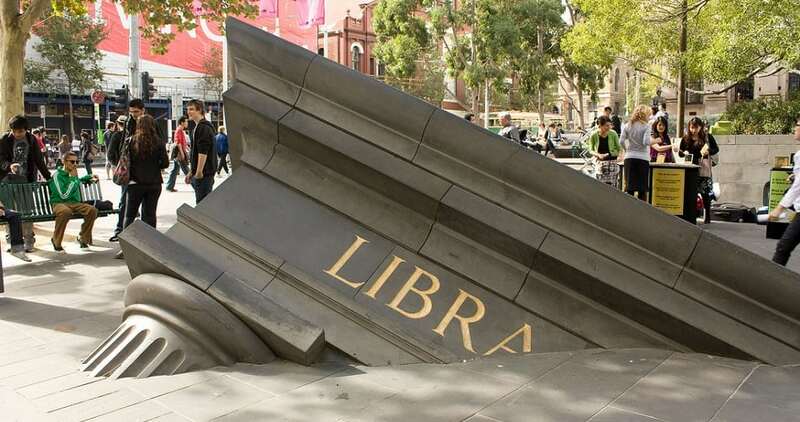 This sculpture is sinking into the the ground near the state library in Melbourne. It was unveiled in 1993 by Dutch artist Petrus Spronk. Spronk wanted his bluestone piece to resemble the portico of the library sinking into the pavement. He was inspired by the Greek mathematician Pythagoras and the Pythagorean theorem.